Scroll down to view the images or click here to view the next page that highlights my arrival at the Nebbi Standard College. Betty had originally arranged to have me stay at a hotel where white people typically stay. It had warm showers, gates that shut out the town at night, and very comfortable conditions. I didn't feel right staying there. I choose instead to stay at the hotel where Betty was staying. I would describe the conditions of my hotel room as being the poorest I have ever stayed in, but as still being above the conditions that many people in Nebbi were living in. My room was extremely small; in fact, the room was barely large enough for the bed. The walls were thin, cracked, and chipping. At one point, the largest rat I have ever seen ran across the floor in front of me and disappeared behind the bed. There was a toilet that didn't flush unless you manually poured water into it. There was running water (but no hot water) and there was electricity. (It is interesting to note that the electricity for the whole town of Nebbi is turned off at midnight and isn't turned on again until 6:00 a.m.) The hotel had a cleaning girl who did a wonderful job! What I liked about this hotel was that I got the opportunity to interact with Ugandans at night, which I wouldn't have done if I had chosen to stay at the more extravagant and gated hotel. 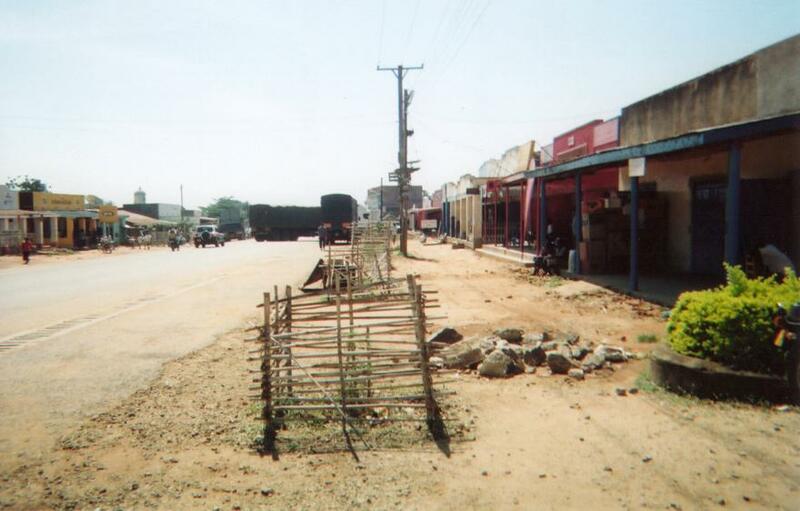 This is the town of Nebbi near the hotel where I stayed. 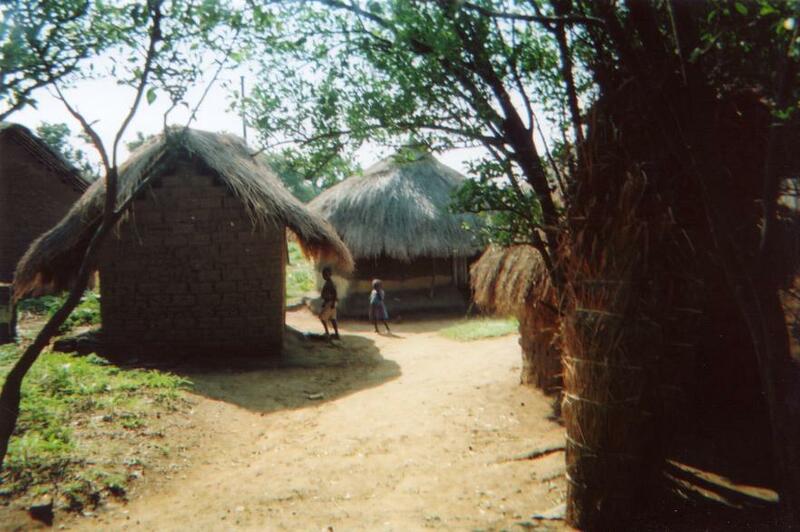 The average income for a person in Nebbi is equivalent to less than one American dollar per day! Betty wanted me to see the village where she and her family were from. This image was taken in that village. Many young children watched me from a distance. This is the home of one of Betty's sisters. Betty's sister is the third person standing from the left. 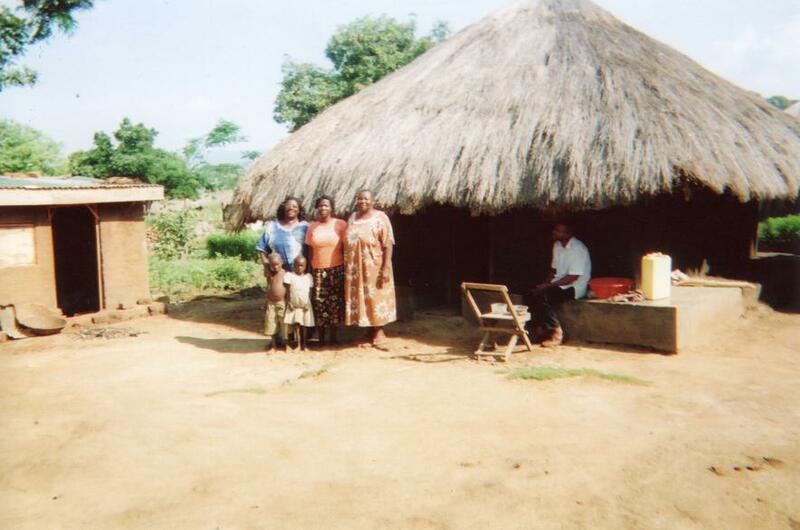 Betty's sister is among the poorest of the poor. Yet, she prepared breakfast and supper for me throughout the week at great sacrifice to herself! This is a picture of me enjoying the hospitality of Betty's sister. Around the corner behind me, there are over a dozen very young children. Whenever I looked around the corner, they giggled and ran away. Finally, one of them came to me and shook my hand. 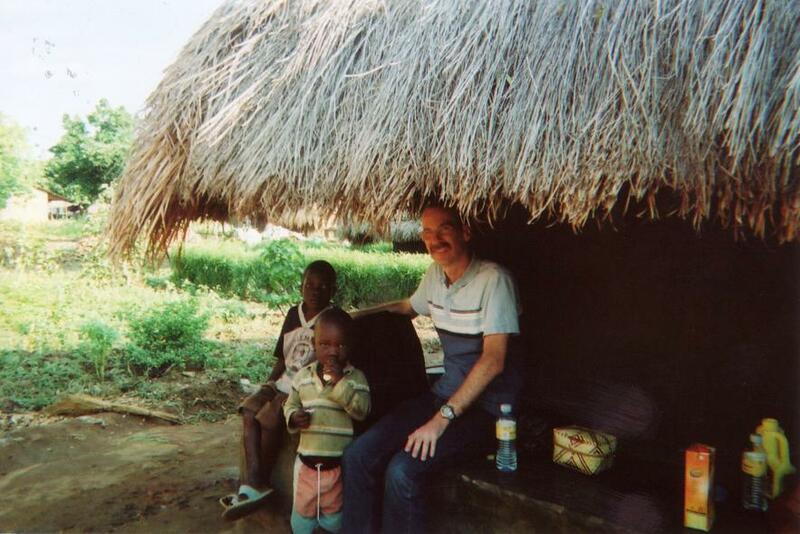 I was suddenly surrounded by children coming from all parts of the village wanting to shake my hand! 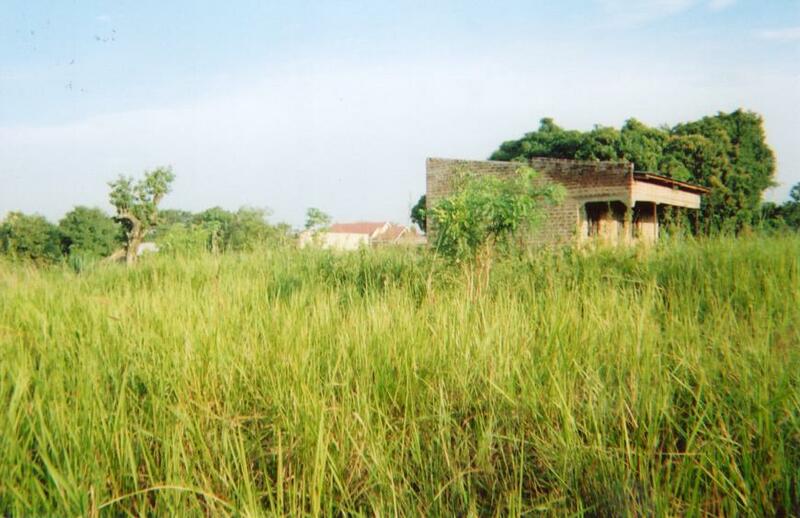 Betty owns this house in Nebbi, but she doesn't live here. It is in need of a lot of repair, but she doesn't have the money to fix it up. Why? Because she takes what money she makes and puts it into her school. This is another picture of Betty's house (on the right). A more luxurious home is in the background. 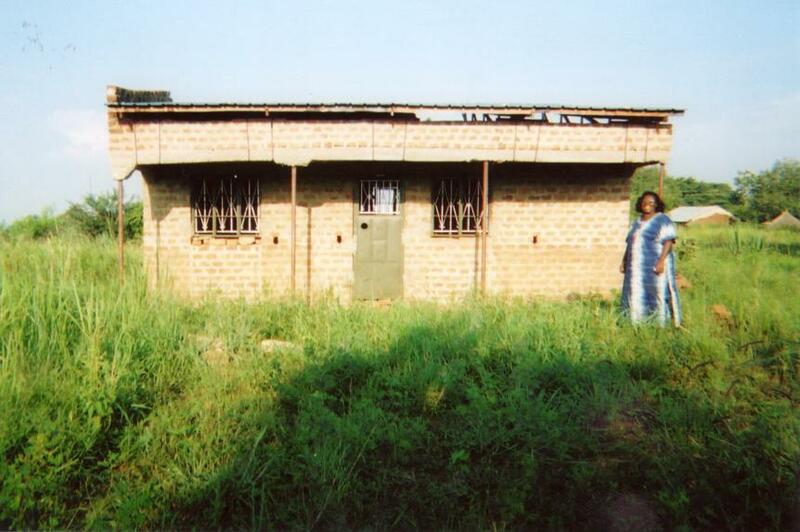 Betty has a vision of someday using this home as a place where students from her school can come.